A neutral face with open eyes and straight-lined mouth. Often described as the master of all poker players, this emoji is impossible to read. 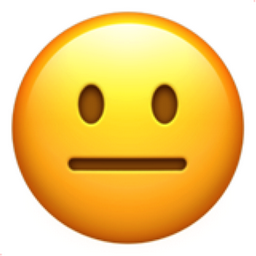 Not to be confused with the Expressionless Face emoji, this emoji is very much engaged, present and above all, extremely clever. Beware!